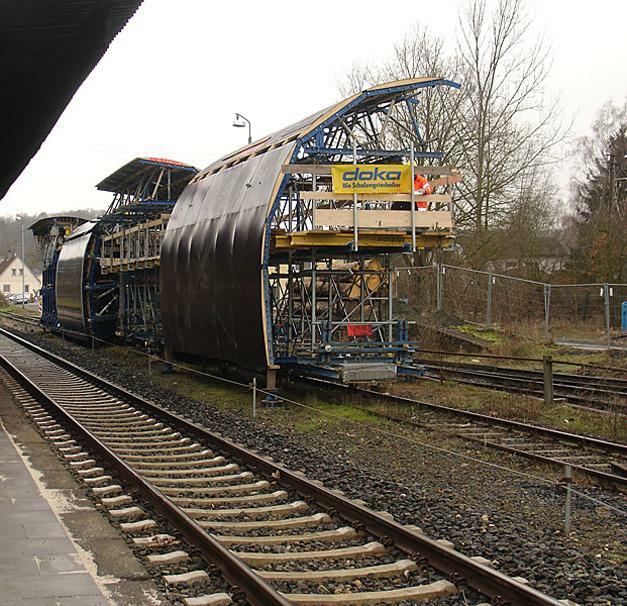 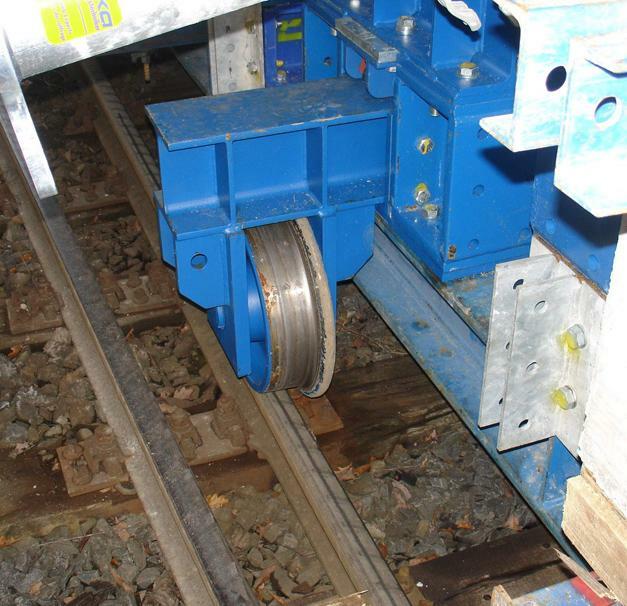 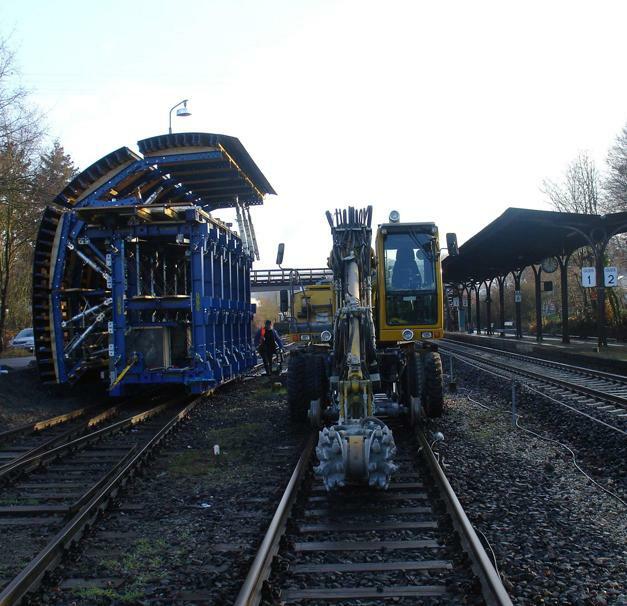 Separable tunnel formwork traveller on railway tracks, with no disruption to rail services. 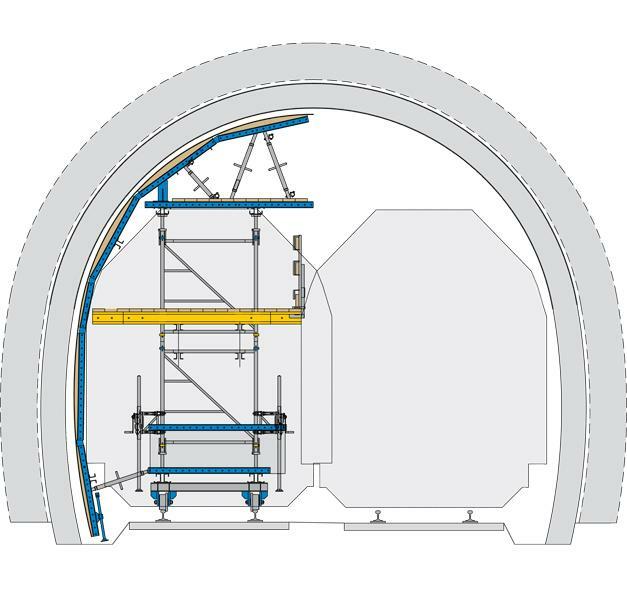 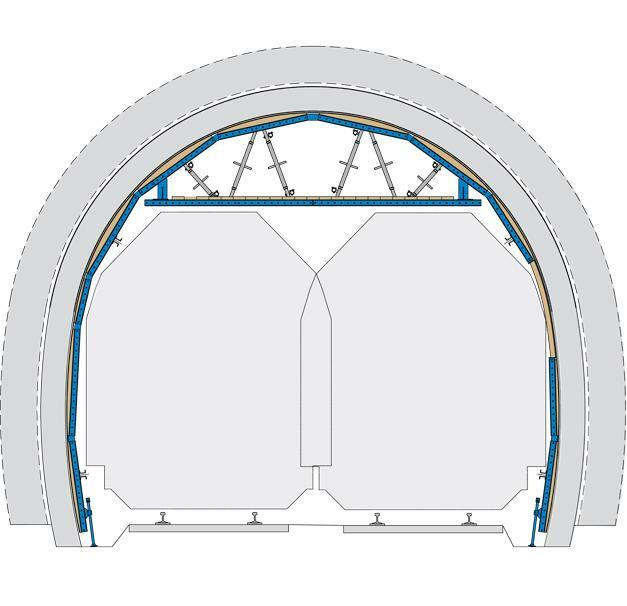 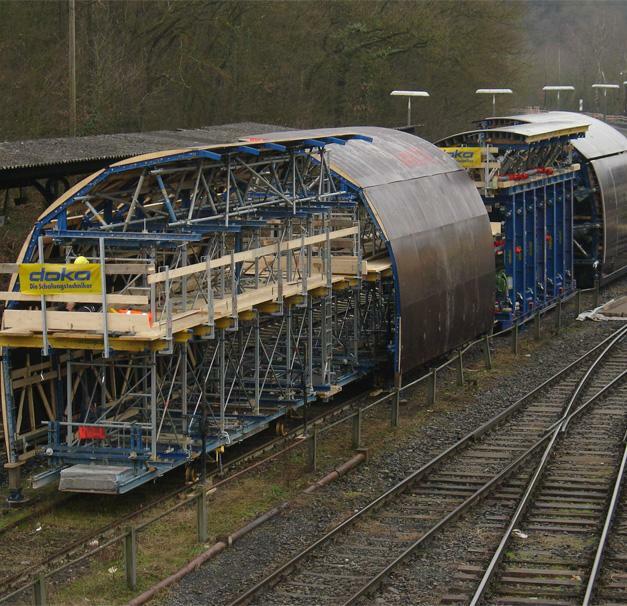 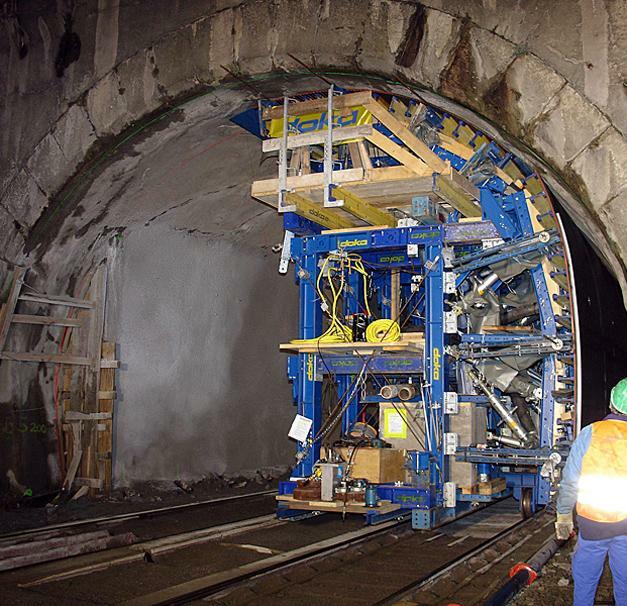 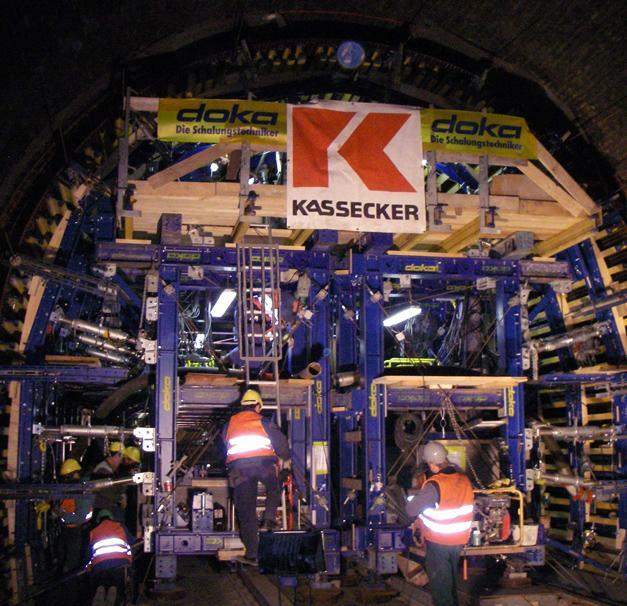 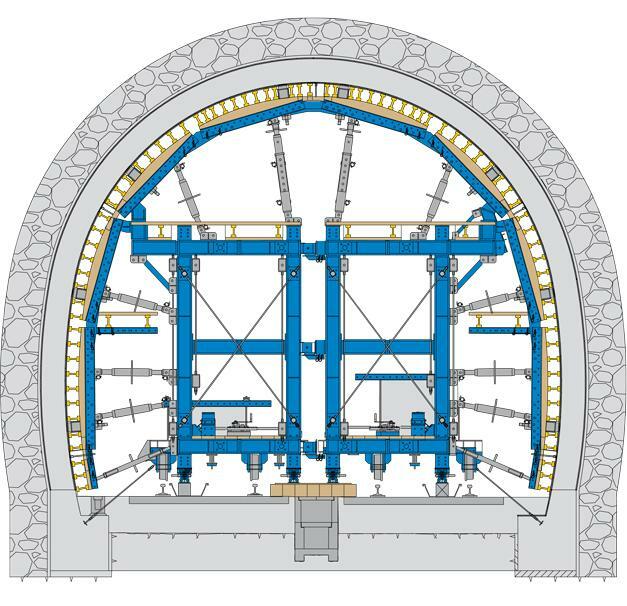 Contractors Franz Kassecker commissioned Doka to supply a formwork construction that could be divided into two separate rail-travellable tunnel-formwork units. 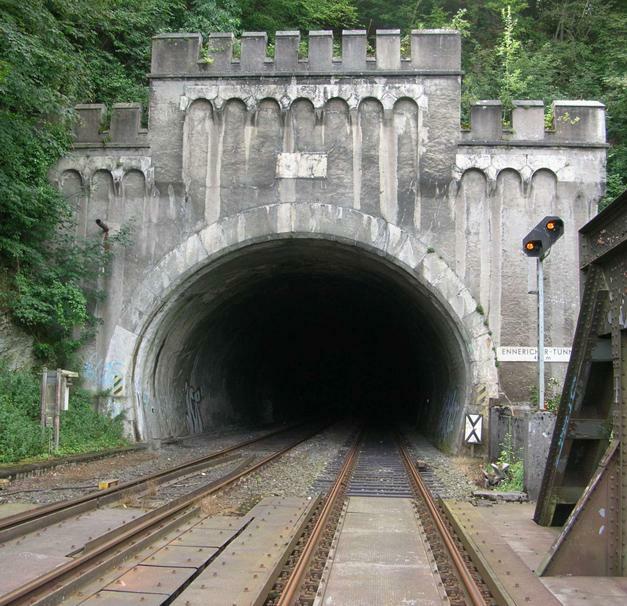 Thank you for your interest - Major rehabilitation of Ennerich Tunnel. 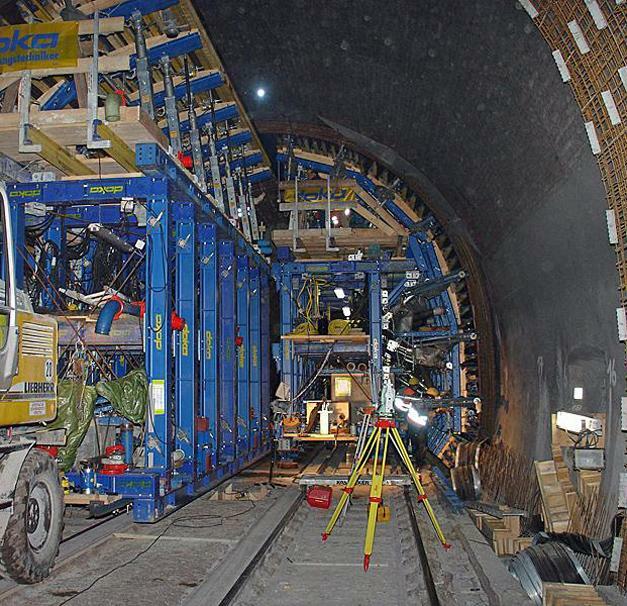 Thank you very much for your interest - Major rehabilitation of Ennerich Tunnel.